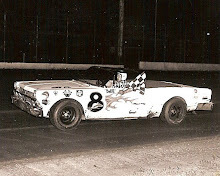 Ernie Derr accepts the checkers after winning at Kaukauna. 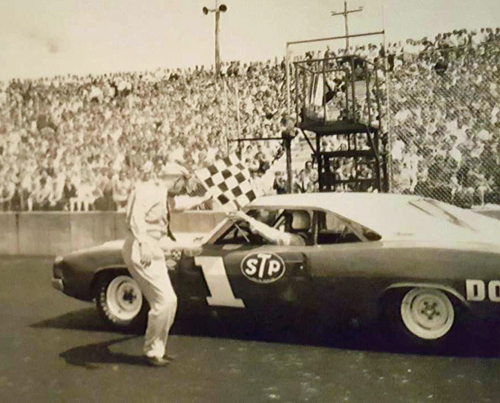 Kaukauna, Wis. (June 2, 1968) - A record crowd of more than 15,500 race fans turned out to watch Ernie Derr of Keokuk, Iowa, 8-time National Stock Car champion, driving a 1968 Dodge Charger, won the 100-lap, 50-mile feature race on the newly-paved, high banked half-mile track Sunday afternoon at the KK Sports Arena. 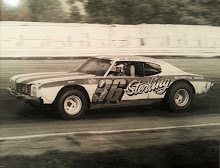 Derr, who also had fast time for the afternoon with a blazing 23:08 seconds, garnered the pole position from a field of 29 cars entered in the feature event. After two position laps and the drop of the green flag by flagmen Don (Mac) McDonald of Neenah, Derr roared away to a commanding lead, which he held on to for the entire 100 laps. Derr completed the 50-mile affair without a pit stop, while all other cars pitted at least once. On the first lap of the feature, Lyle Nabbfeldt of Wisconsin Rapids, driving a 1966 Ford for Jim Ferkes of Stevens Point, spun coming out of turn two and slammed into the guardrail, resulting in drivers having to run under the caution lights for numerous laps. Because of Nabbfeldt’s car being partially on the track and the possible danger to other drivers, the red flag was given and the race halted. A spinout and blown tire necessitated the caution flag on laps 12 and 81 as well. A total of 10 laps were run under caution for the 50-mile event. From the field of 29 starters, only 16 managed to finish the grueling pace of 100 laps. 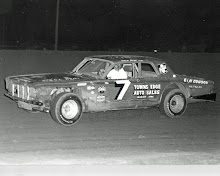 Coming in second behind Derr was Gene Marmor of River View, Ill., driving a 1967 Chevy while Milwaukee’s Jim Lord finished third driving a 1967 Ford. 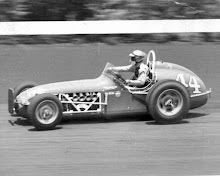 In the first 15-lap heat race, Robert Kempen of Hilbert, Wis., drove his 1967 Ford to victory over Joe Shear of Beloit in a 1967 Chevy and Berlin’s Stu Nitzke in a ’67 Ford. In the second 15-lap heat, Ramo Stott of Keokuk, Iowa, driving a 1968 Hemi Plymouth, took the win over Dave Marcis of West Salem in a ’67 Chevy and Rich Somers of Stevens Point. 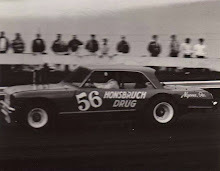 In the 15-lap consolation event, Tom Van Dreel of West De Pere took the win driving a 1967 Buick Grand Sport over Whitey Gerken of Chicago in a 1968 Chevelle. Gene Marmor, River View, Ill.
Tom Guenwald, West Bend, Wis.